Goal scoring is up in the NHL with teams averaging 3.02 goals per game, the highest mark in more than a decade. 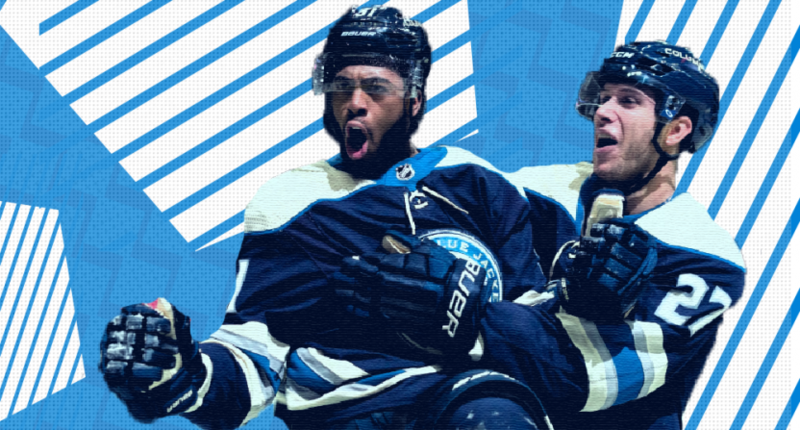 With the league placing less of an emphasis on grit and more focus on skill, fans have been privy to some amazing goals in 2018-19. Out of the more than 5,000 goals scored this season, these 10 stuck out from the pack. Hertl makes this list with an all-out effort against the Anaheim Ducks. The talented forward scored this beauty after beating defenseman Cam Fowler in a puck battle, making him look silly with a nifty deke, and burying the puck on a wicked wrist shot past John Gibson. To top it all off, the Sharks were shorthanded. Fowler would certainly love a second chance on this one as he was undressed by Hertl. David Pastrnak has scored 36 goals in 2018-19 and a lot of them have been very pretty. His goal against the Oilers back in October remains his finest work. With the Bruins on the power play, Pastrnak picked up a bouncing puck near the slot, curled the puck by a helpless Matt Benning and deked Cam Talbot out to finish on the backhand. Edmonton’s defense stood no chance. Hartman is not known as a prolific goal scorer, but you would not know that from this awesome backhander goal from October. Hartman picked up the puck on a pass near the Golden Knights blueline, got by Vegas defenders with a slick toe drag and finished on the backhand. Hartman made a tough move look silky smooth. Much like Hartman’s goal above, Filppula made a defender look silly after curling around Carolina’s defense with a nice deke and finishing with a backhander. Three Hurricanes defenders could not do a thing and were left helpless as Filppula potted his best goal of the season. Duclair’s NHL career has had its ups and downs, but this ridiculous goal from October is certainly a highlight of his career. Duclair took a sharp cut in the middle of the Flyers defense, fell, managed to hold onto the puck, gathered himself while still on his knees and somehow firing a puck past Calvin Pickard. The goal was ridiculous in every way. You will not see many goals like this one. Duchene is a dynamic offensive player, which was most evident by this incredible November goal against the Flyers. Duchene took a wrister on net that was blocked by Philadelphia’s defense. He did not quit on the play and managed to use his impressive hand-eye coordination to bat the rebounded puck out of the air and into the net. Giroux has some of filthiest hands in the NHL, as has got a natural ability to pull off some ridiculously smooth dekes. Back in late December, Giroux scored a career-best goal. Giroux went through an intimidating Lightning defense with ease, put the puck through his own legs, and went backhand to forehand to beat a sprawling Andrei Vasilevskiy. It was a fast, deadly move that embarrassed the best team in the NHL. Earlier this week, Schenn scored an incredibly high degree of difficulty goal that was easily one of the best so far in 2018-19. After pouncing on a juicy rebound, Schenn appeared to lose control of the puck near Tampa Bay’s crease. Somehow, Schenn backhanded the puck through his own legs to score an unlikely goal. His awareness on the score was off the charts. It had no business going in the back of the net. In February, Barkov made up for a forgettable Panthers season with one of the best goals in the last decade. After taking the puck and getting a step on Canadiens defenders, Barkov pulled a Marek Malik and scored with his stick between his own legs. To pull off that kind of move with a defender so close is one thing, to finish and score the highlight goal was extraordinary. Speaking of between the leg goals, Nolan Patrick had one of the best goals of that variety back in January. After defenseman Sanheim took a shot from the blue line that bounced off the boards and right beside the net, Patrick finished with style with his stick between his legs. It was a quick, impressive heads up play. The 2nd overall pick in the 2017 NHL Draft might not be producing at the rate as some his skilled draft class, but he might have the best individual goal.